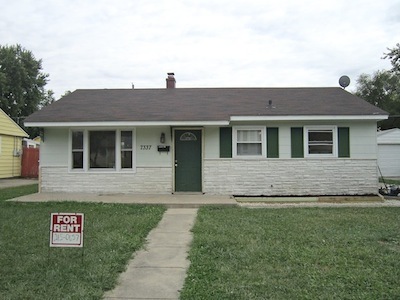 Full Description: Newly Remodeled, Beautiful 3 bedroom 1 bath home in the Lawrence area. Wood floors throughout, big fully fenced in backyard, 1 car garage. Park and Harrison Hill elementary within walking distance. $800 per month and an $800 deposit. All tenants checked through National Tenant Network. Washer and Dryer Hookup available. All other appliances provided.